Soak tamarind and jaggery in a sufficient water. 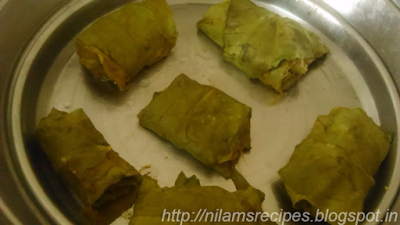 Wash, rinse and dry the leaves with a napkin. 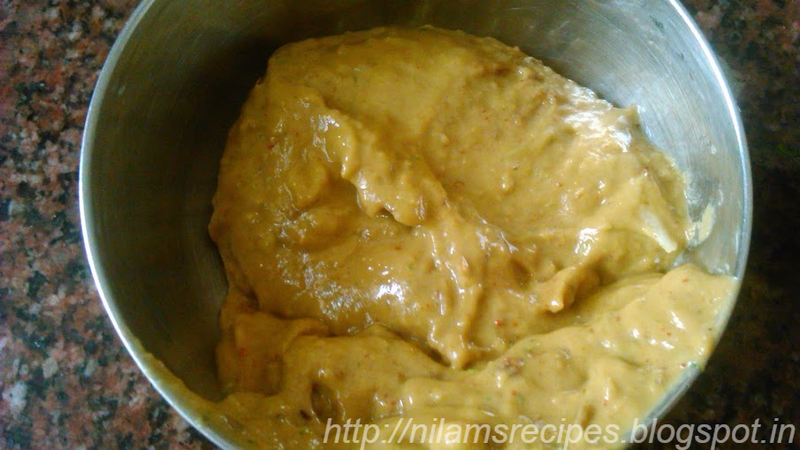 In a mixer pan take besan, tamarind and jaggery mixture, turmeric powder, red chilli powder, cumin seeds, ginger garlic paste and salt and make a mixture of it. 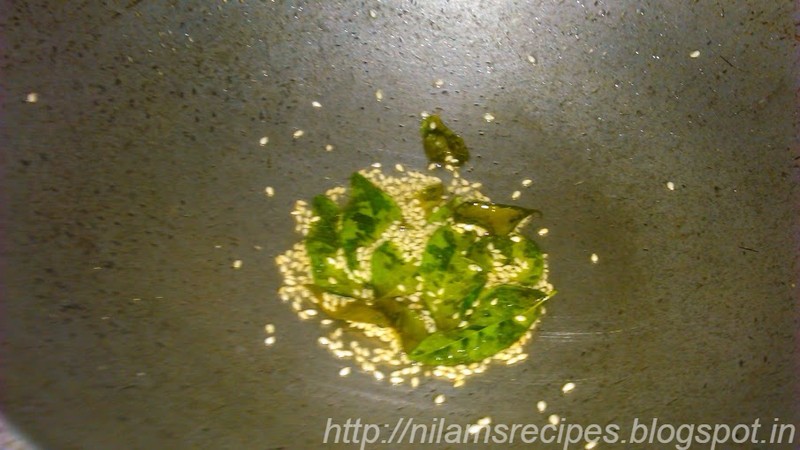 Take a largest leaf place it on flat surface and dark green side down. Apply the besan paste on it put the second leaf with the opposite direction as shown below. 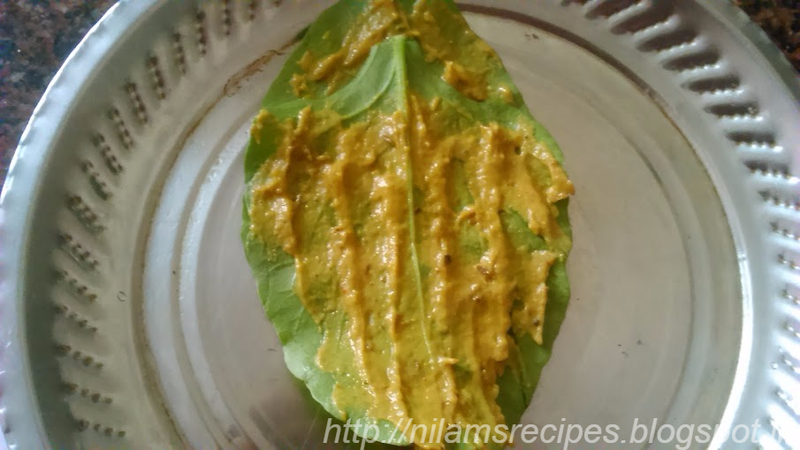 Apply the besan paste on second leaf. 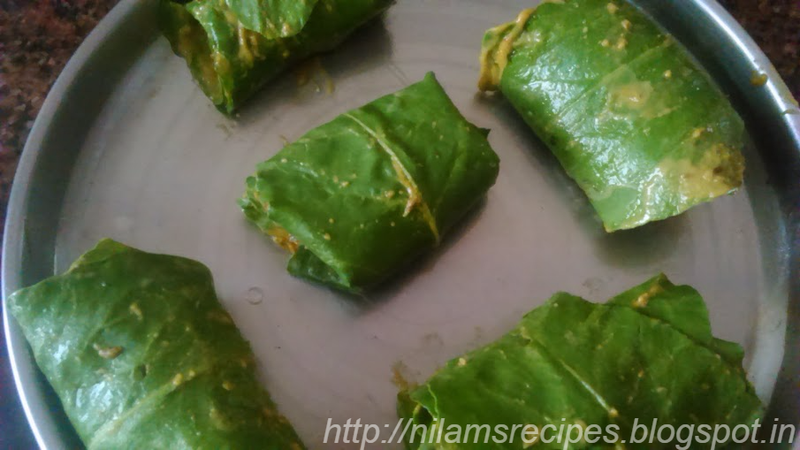 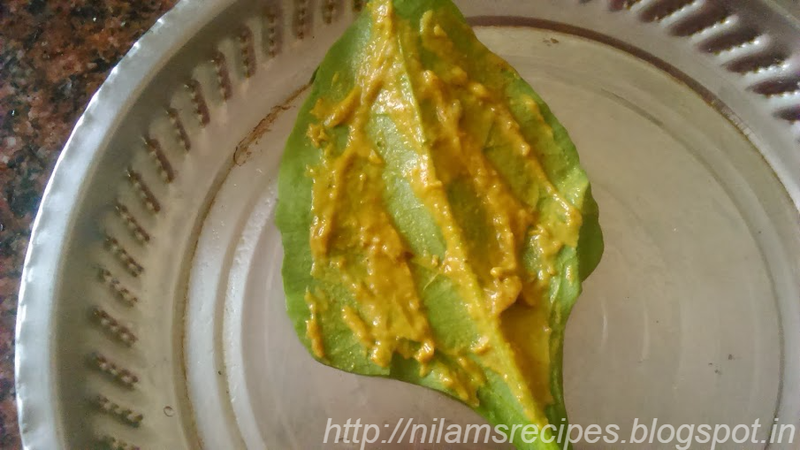 Cover the leaf with the gram flour paste, now palce a third leaf and apply the paste on this leaf too. 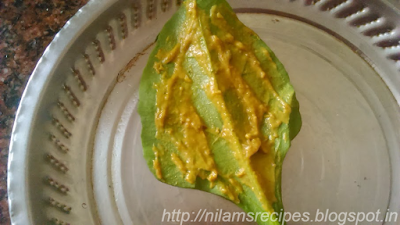 Now fold the broad side of leaf and put some more paste on it and start making roll. 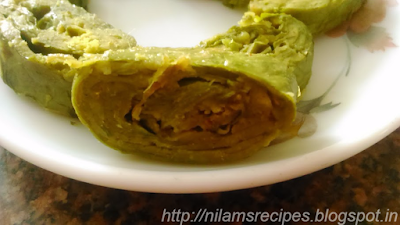 Steam cooks these rolls for 10-15 minutes and let them cool down completely. 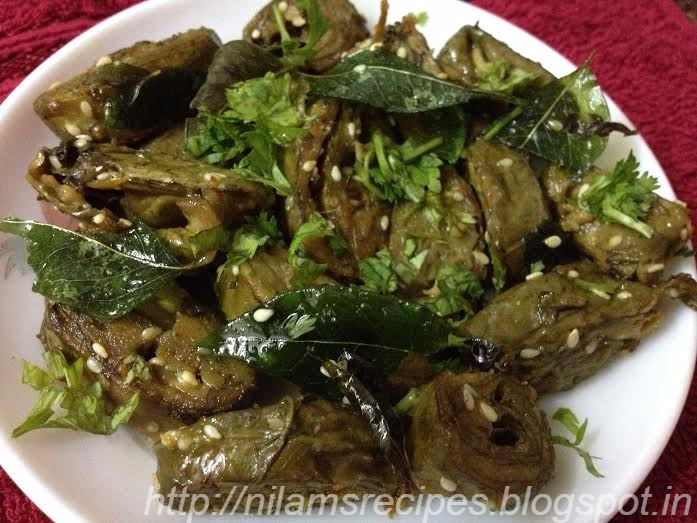 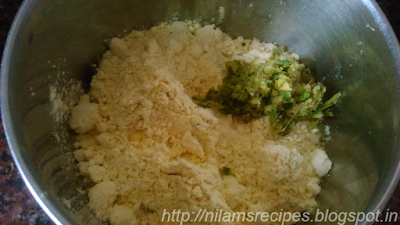 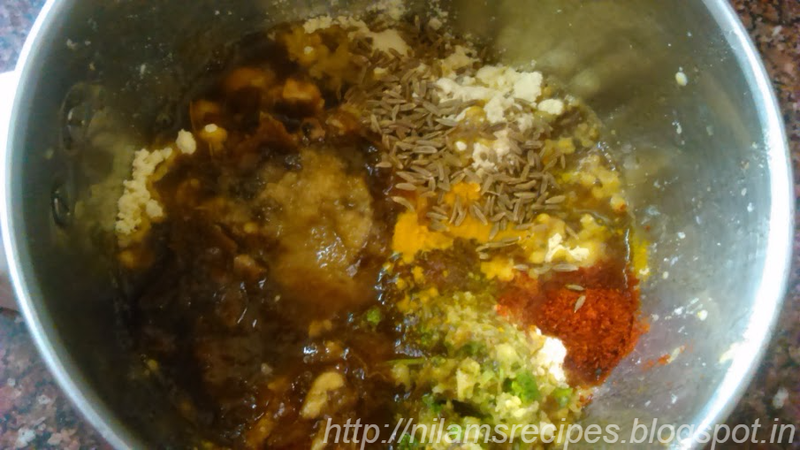 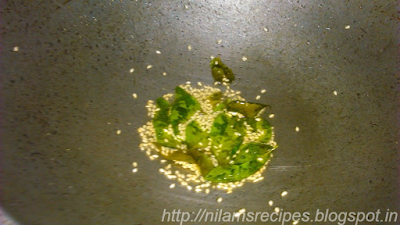 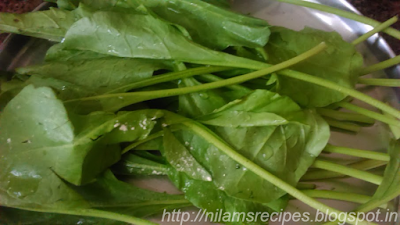 In a frying pan add little oil, sesame seeds and curry leaves and place all slices and mix it. 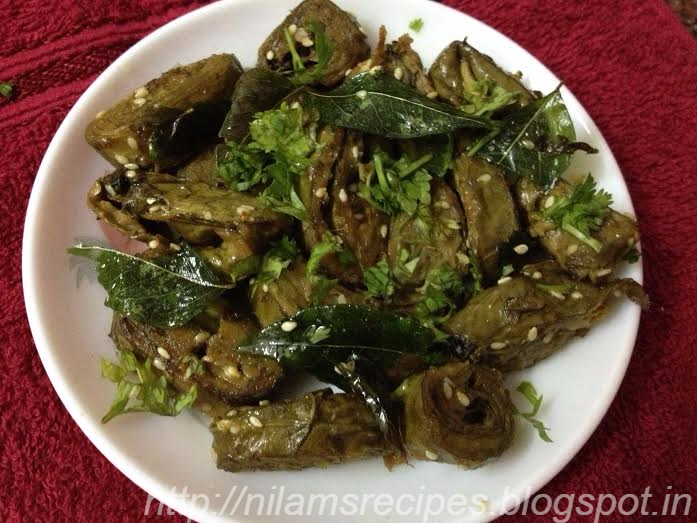 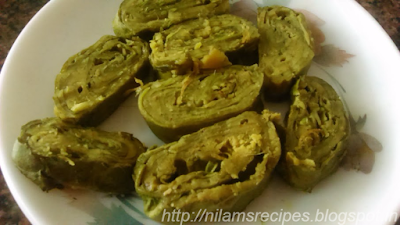 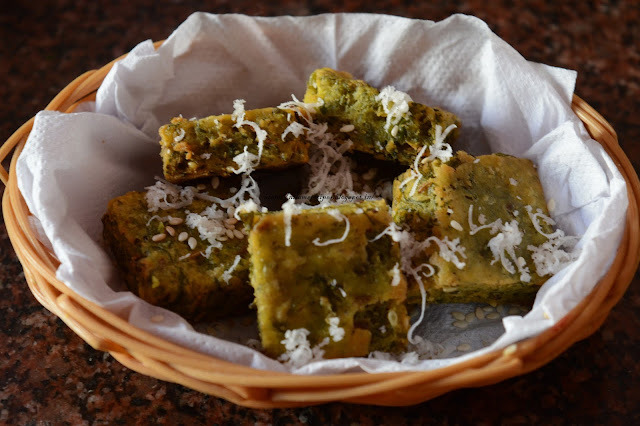 Palak Vadi Recipe – fried and served hot.